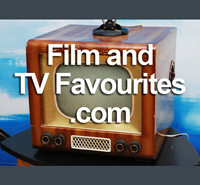 We are based in the UK and sell DVDs, Blu-rays and VHS that are formatted to work here (ie. Region 2 Pal DVDs, Region B Blu-ray and Pal Vhs format videos). Some countries such as the USA and Canada are unlikely to be able to play the products we stock unless they have equipment which is multi-region capable or the particular dvd/blu-ray is one which has been listed as R0 (if a DVD) or ABC (if a blu-ray). If not in the UK/Europe please check your equipments manuals, or with the manufacturer if in doubt. We cannot accept returns of blu-rays / dvds which have been tried and found to be incompatible. We aim to get all orders packed and dispatched within 1 working day of payment. Orders can be cancelled or changed any time before the order has been sent. If you wish to cancel an order which has already been dispatched then please notify us of your intention to return it within 7 working days of receipt. We will be happy to accept it back provided that it is still in it’s original condition (with any seals/packaging left intact). When you cancel, we will issue a full refund for the price you paid for the item within 30 days. If you believe you have received a faulty item please first check for the obvious causes (connection leads, equipment faults etc). We would recommend testing your purchase on at least one other player. Please make a note of the fault, chapter and time and contact us to arrange a return. All returns will be tested before replacement (if available) or refund is sent. If a returned item is found not to be faulty we will return the item to you and you will be liable for the postage. Before returning any item please follow our returns authorisation procedure by clicking the link below and giving a brief description of the reason for return. We will then email you with authorisation.